There are few better ways to explore England than from the saddle of a bicyle or - in my case - the back of a tandem. England's countryside is stunning, we have small, quiet roads aplenty and if you fancy a break you're always likely to find a welcoming pub or cosy teashop. Offroad more to your liking? That's no problem. If you want to go cycling in England, you can do it offroad just as well as on. Local councils and companies like Sustrans have created many traffic-free cycling paths. Mountain-biking is very popular in England, too, with mountain biking centres and trails in some of the most beautiful parts of the country. 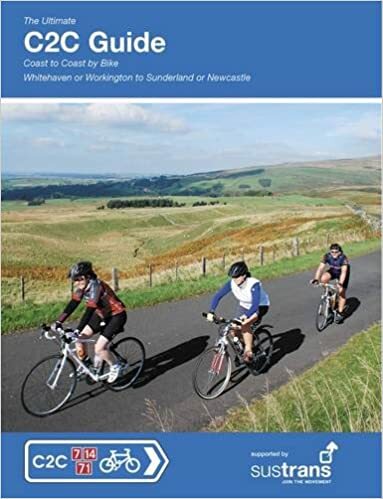 A good way to get started cycling in England is a self-guided cycling tour. Whether you have a weekend, a few days or even a week, there's a cycling tour to suit you. Most of these tours provide accommodation - usually Bed and Breakfast - and transport your luggage from place to place, leaving you free to explore at your own pace. Here are a few ideas of tours that are ideal for a cycling holiday in England. If you love Roman history and cycling, then this is cycling in England for you! And if you love Northumberland, too, then you really have no excuse. 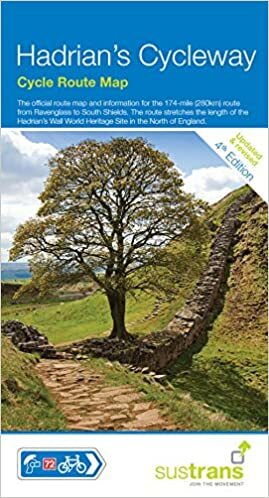 Meander your way along the boundary of the Old Roman Empire, starting and finishing at either end of Hadrians Wall. Follow in the footsteps of Roman soldiers, stop to explore the Roman forts, towns and museums that line the route, and marvel at the amazing landscape that Cumbria and Northumberland have to offer. Another classic tour, Coastg and Castles explores the hotly contested borderland between Scotland and England. You start from Arthur's Seat in Edinburgh and climb up to Innerleithen before following the River Tweed to the Elizabethan walled town of Berwick upon Tweed. From there, Northumberland's stunning coastline and ancient castles and fortresses will take your breath away until you reach the city of Newcastle, where there's entertainment of a very different sort to be had. This is a truly classic cycle tour. It's the first tour we did on the tandem and cycling in England cannot get much better than this. Starting at Whitehaven and crossing England from west to east on a National Cycling Network route, you get to see some amazing landscapes and very little traffic, whatever time of year you attempt it. Bring your own bike or just rent one along with your tour and spend four days exploring England's North. If you're very fit or in a hurry, this tour can be done in two days... but why rush a wonderful experience? Explore at your leisure, stop for lunch or tea along the way and spend your nights in cosy hotels. Just don't forget to stop for hot chocolatge at Hartside Top and dip your wheels in the sea at either end. 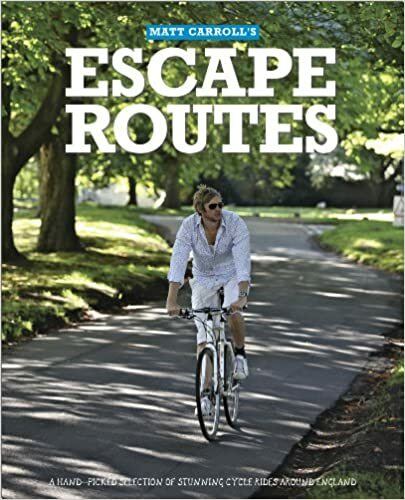 This title from the publishers of the Cool Camping and Wild Swimming series is a unique cycling guide that's less about the destination and more about enjoying the journey. It maps out 60 unforgettable rides across England, from an easy 5 mile-meander to a 20-mile day trip, with something for every level of cyclist on every kind of bike. You can enjoy the rush of freewheeling down a hill with the beautiful English countryside gliding by or get up close and personal with England s most gorgeous coastline. When you're out on your bike you can go where you want, when you want all in your own sweet time. 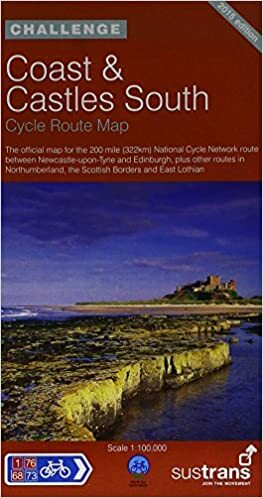 Combining inspirational photography, beautiful hand-drawn maps, engaging writing and essential practical information including where to hire bicyles en route this stunning book will guide you through England's most breathtaking cycle rides. Whichever route you choose, cycling in England makes a rewarding - and sometimes even enlightening - holiday. It can be as peaceful and relaxing or as challenging and adventurous as you like. And with the views, attractions and history that England has to offer a cycling holiday in England is like nothing else! Return from Cycling in England to the England holidays page.